I had a really difficult question this week emailed to me from a rider in Australia about which helmets are quieter, full face or modulars? What is the quietest full face flip top (modular)? What is the quietest full face? And are the flip top (modular) as quiet as the full face? Generally speaking, perceived noise levels will vary depending on the individual. Noise can be caused by many factors, including helmet fit; the type of motorcycle and windscreen; wind speed and direction and even the type of clothing that is being worn. Also assuming that you are wearing the correct size/fit for your head, this will also greatly affect perceived noise levels We also always recommend wearing high quality ear plugs to minimize wind noise as well. One of my favorite resources for an exceptionally large selection is Earplug Superstore. That being said, I am thrilled to share my personal experience with you, as well as that of many of our customers with our most popular helmets for overall noise reduction. Many will agree that Schuberth makes one of the quietest modulars (also commonly referred to as flip up) starting with their popular C3 Pro. Schuberth made the first modular helmet and they say that the C3 and C3Pro are the quietest models available. They have wind tunnel tested both of these models starting at “82db at 62 mph on an unfaired motorcycle”. If you search for reviews of these models, you will find many riders agree that the Schuberth helmets are very quiet, relative to other makes/models. I have a C3ProW (women’s specific model of the C3Pro) and can definitely tell a noticeable reduction in wind noise in comparison to the other two helmets I own, which are the Arai Vector-2 and Shoei Qwest. As a side note Shoei claims a 2.2db reduction in overall wind noise from it’s predecessor, the TZ-R. I definitely think my Qwest is quieter than my Vector-2. Many will also argue that modulars are noisier than full face helmets. That is true with a few exceptions including Schuberth, who has mastered the design and engineering of their helmets to eliminate as much noise as possible. 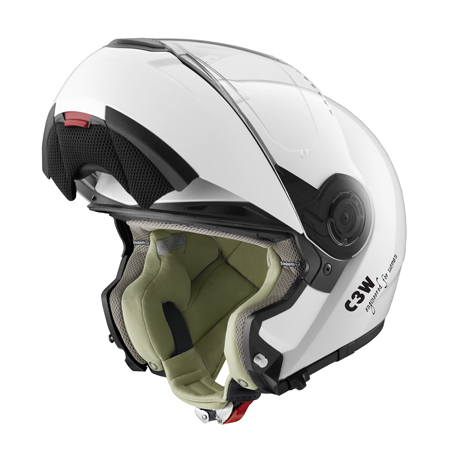 Since Schuberth introduced the C3 a couple years ago, there are more premium modulars that have been released since then to compete including the Shoei Neotec and HJC RPHA Max that also are trying to provide a quieter riding experience. However, if you compare something as premium as the C3Pro to a basic full face helmet at a <$100 price point then the C3Pro is very much quieter than that one. Alternatively, if you compare the C3Pro to other premium, high end full face street helmets such as the Arai Defiant or Shoei RF-1200 which have both been designed to greatly minimize wind noise, you may find they all come somewhat close to each other. The Defiant and RF-1200 have been very popular models among riders who are seeking full face helmets that can greatly reduce wind noise levels. Since Schuberth greatly publicizes their perceived noise level in decibels, I think you can safely assume that the Schuberth models might be a hair quieter than it’s competitors. It’s difficult to say which one is the quietest, but these definitely fall into the ‘more quiet than others’ category. You must also take into consideration the fairing / windscreen setup of your motorcycle. My bike has nothing, so even the quietest helmets will still be noisy because I have nothing in front of me. Depending on what kind of setup you have on your bike, that will certainly affect overall wind noise as well. Since this post, I've purchased a Shoei RF-1200 which I find to be almost as quiet as my Schuberth. However, I do think the windscreen on my old SV made a difference in reducing noise as well. My current Triumph has nothing! 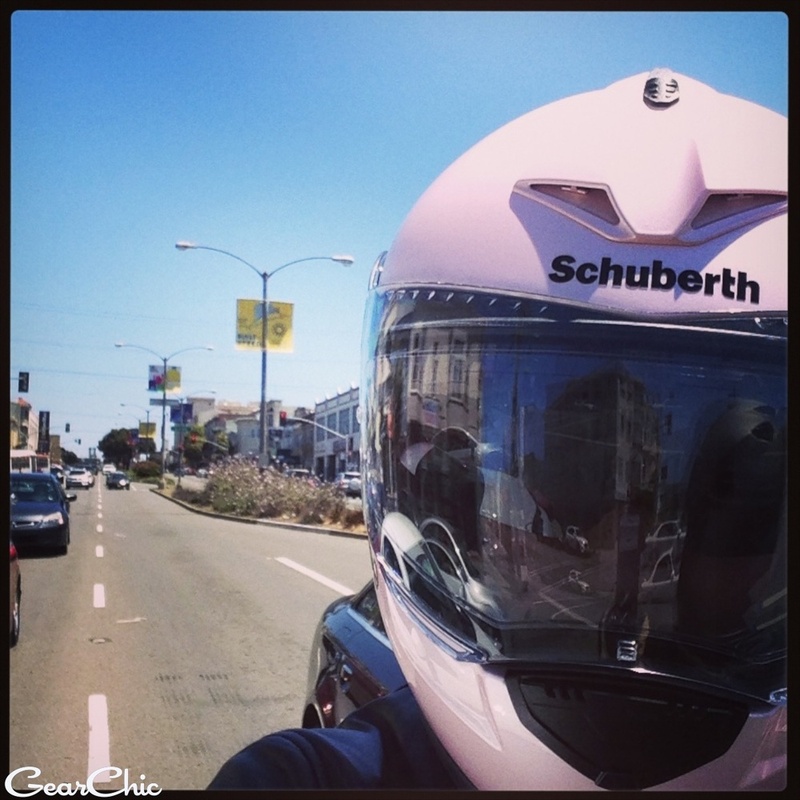 Review of Schuberth's new helmet from BlackGirlsRide magazine.